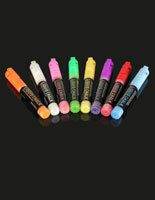 These Chalkboard Markers Are Just One Out of Many Different Sizes and Colors That Are Available Online. 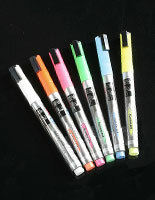 Most of The Neon Pens Are Sold At An Affordable Price with Fast Shipping. Order These Chalkboard Markers Now! 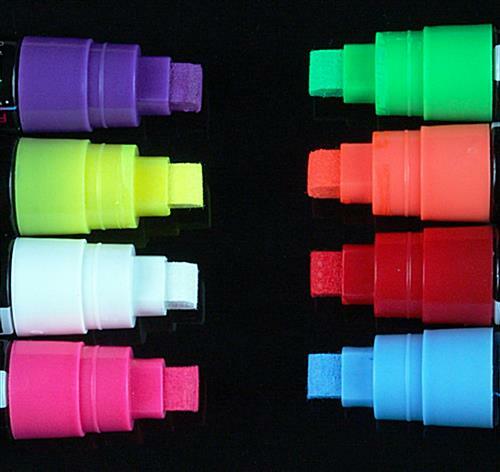 These chalkboard markers are perfect for everyday writing and drawing. 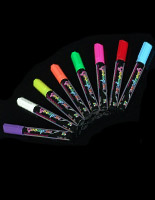 The neon pens have vibrant neon coloration with exceptional fluidity. 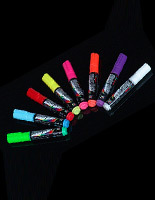 These fluorescent bright sticks, chalkboard markers are formulates from fluorescent powder that is non-toxic. Neon pens are a great way to make attractive advertisements to capture attention and increase sales. These chalkboard markers that have flat nips allow users to create bold letters and drawings. This bright stick ink is nothing like traditional chalk that usually leaves dusty and hazy outcomes. Additionally, these chalkboard markers, like liquid chalks and fluorescent sticks, dry quickly for users to show the artwork sooner without blurring or rubbing off the messages. 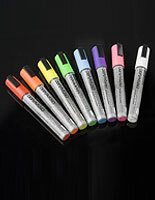 These pens are chalkboard markers that sell in a box of 8 brilliant colors; blue, white, green, pink, purple, orange, yellow and red. The colorful and bright inks enable users to create a livelier artwork. These liquid chalk pens, chalkboard markers are sure to make your message and art work stand out from the frame to attract passerby's attention. 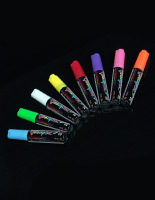 The neon chalk pens should only be used on non-porous surfaces such as glossy blackboards, window, glass, metal and hard plastic (acrylic). 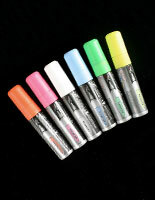 For best results, users can also use these chalkboard markers that have neon colors on any black light boxes. These fluorescent pens transform your message board. It makes the messages glow in the night and shine during the day time. Almost all the business will be beneficial with these chalkboard markers. 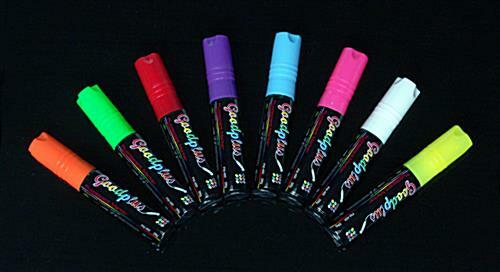 These write-on neon pens are wet erase. 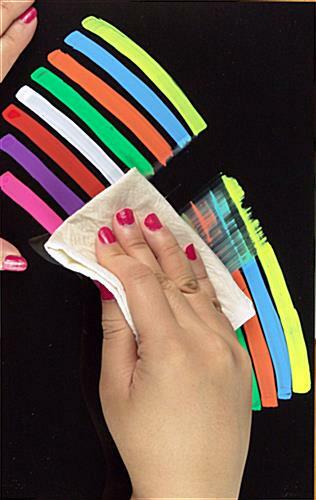 Therefore, users can easily use a damp or moist cloth to wipe off the art work on the board. Order these fluorescent pens at a low price and use it to change your dull advertisement to a lively and attractive message board.